When we unveiled our new additions to our all-natural line of Mediterranean olives, peppers, capers and sun-dried tomatoes at Natrual Products Expo West last month, we were thrilled to hear a wide range of praise from members of the natural foods community from all over the world! They couldn’t get enough of our new Sunshine Mix Mild Banana Pepper Rings, Pitted Castelvetrano Olives and Marinated Artichoke Hearts. The bold Mediterranean flavor of these artichokes have inspired our chefs at to create new dishes and serving ideas to help you eat and live better! Hand picked and marinated with a perfectly seasoned family recipe, these Artichoke Hearts do not disappoint. 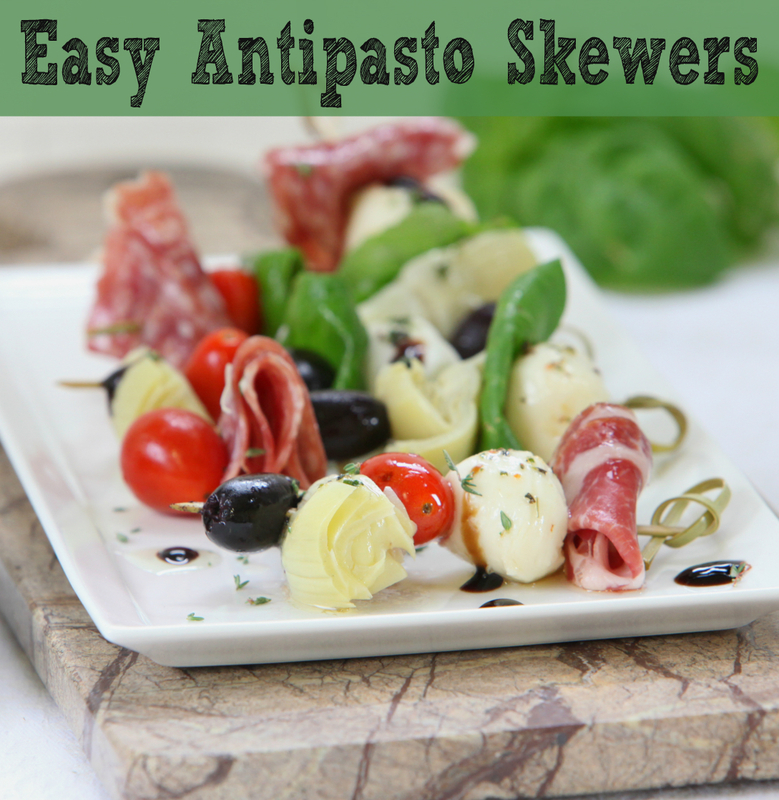 Our newest recipe, Antipasto Skewers, are an elegant yet easy appetizer to make ahead for any party or get together. You can make the antipasto skewers ahead of time and drizzle with balsamic and olive oil just before serving. Get creative and add any of your favorite Jeff’s Naturals pitted or stuffed olives (like Feta or Garlic) and Whole Golden Greek Peperoncini. In any order, skewer a variety of the ingredients onto each skewer. Drizzle the finished skewers with balsamic glaze and olive oil and serve.